According to the new market research report by IndustryARC titled “Engineering Plastics Market By Type (ABS, PA, PC, POM, PMMA, PEEK, PET, PBT, Cast Nylon); By End-User (Aerospace, Building & Construction, Food, Mechanical, Medical, Others); By Application (CD/DVD, Medical Implants, Advanced Batteries, Shoes, Others); By Geography – Forecast Period (2018–2023),” the market will be driven by the replacement of metal parts by engineering plastics in various industries. Asia Pacific has the largest share in the Engineering Plastics Market due to the growing demand for engineering plastics by the end-user industries such as electrical & electronics, and automotive & transportation. The increase in the production of automotive parts in the region will bolster the market over the forecast period. China is the largest market for engineering plastics. The country’s engineering plastics market is primarily driven by the rapid growth of the automotive and transportation industry and the easy availability of feedstock. The automotive and transportation sector will dominate the Engineering Plastics Market over the forecast period. Engineering plastics are used in the automotive industry for applications in the wheel well, connectors and housing, under the hood components, headlamps, and fog lamps. The automotive sector growth rate is high in Asia-Pacific, particularly in China, India, Japan, and South Korea. The automotive and transportation market in these countries will drive the demand for engineering plastic products over the forecast period. • Growth of the end-user industries such as electrical, electronics, packaging, automotive, construction, and consumer appliances will drive the demand for engineering plastic products. • The easy availability of raw materials and low cost of production will boost the demand for engineering plastics. 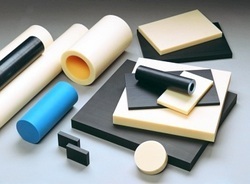 • The benefits of engineering plastics such as flame resistance, durability, chemical resistance, and wear resistance compared to commodity plastics will provide ample opportunities for the engineering plastics market. • Major investments by governments and companies in developing new technologies will propel the growth of the engineering plastics market. BASF SE, Covestro, and Celanese Corporation are the key players of the engineering plastics market. — BASF produces engineering plastics for extrusion, injection molding, and blow molding. The engineering plastics produced by BASF are developed for applications in the automotive & engineering, and electrical & electronic sectors. — Covestro offers products which have a desirable balance of properties such as impact strength and heat resistance to other materials. — Celanese provides high-performance engineering resins that offer resistance to friction and wear, and deliver good mechanical properties such as stiffness and strength. The growing demand for electronic and electrical appliances will propel the growth of the engineering plastics market. Any other major customizations can be discussed with our team. We can also provide you with a separate quote based on your requirements. You can drop an e-mail to sales@industryarc.com to learn more about our consulting services. IndustryARC is a Research and Consulting Firm that publishes more than 500 reports annually, in various industries such as Agriculture, Automotive, Automation & Instrumentation, Chemicals and Materials, Energy and Power, Electronics, Food & Beverages, Information Technology, and Life Sciences & Healthcare.